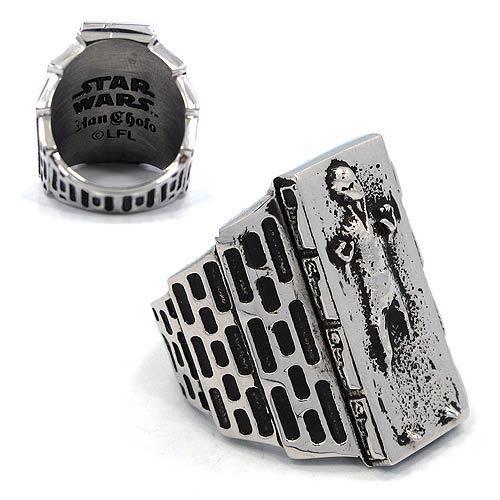 Super-cool Star Wars Han Solo in Carbonite Ring! For your next trip aboard the Millennium Falcon . Based on Star Wars, this super-cool Star Wars Han Solo in Carbonite Ring is ready for you to wear on your next trip aboard the Millennium Falcon! It's made of stainless steel, and features terrific antique detailing. Available in sizes 9, 10, and 11.